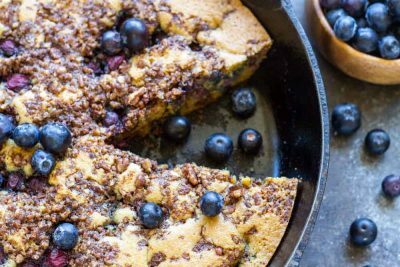 And I’m kicking it off with this Skillet Blueberry Coffee Cake. Cuz everything tastes better in a skillet. Am I right? Our family is in a bit of a transition as we are selling our house and trying to buy land to build on. I haven’t had as much time as I would like to play in the kitchen. But this week, I took a break from all the house planning and made this. Doesn’t it look lovely? 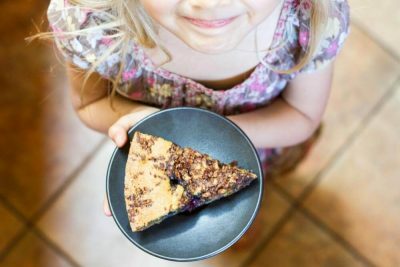 My Lemon Berry Skillet Cake is a family fav. And so is my Mixed Berry Dutch Baby. As you can see, I have a thing for summer berries. I seriously can’t get enough of them. 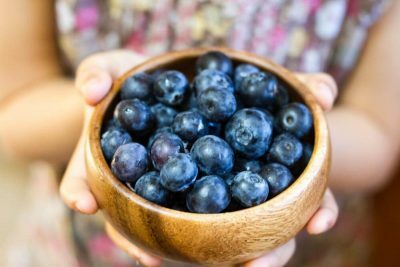 And now that blueberries are back in season, I’ve been stuffing my face with them as often as I can. 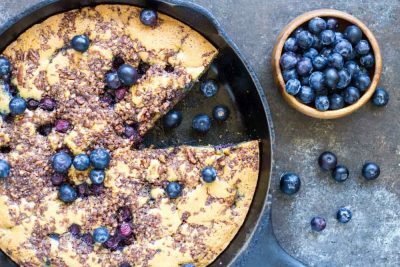 OK… let’s get back to that blueberry coffee cake. 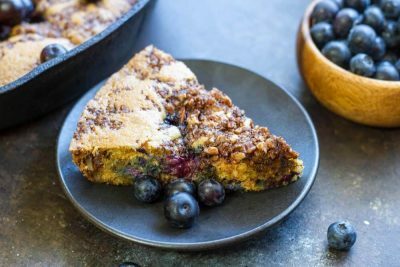 Here’s the deal: It’s a moist, delicious cake layered with a cinnamon nut streusel and fresh, juicy blueberries. It’s super simple to throw together. And is gluten and grain free. You can keep it dairy free by using coconut oil. I’m super excited to share this recipe with you because I’m sort of in love with this coffee cake. It’s the perfect texture and combo of flavors, and I know it will be a stable in my kitchen for potlucks and gatherings from now on. I make a lot of recipes, and some become classics. This is definitely getting filed in the “MUST MAKE AGAIN AND AGAIN” folder. The bottom line: Everybody loves a good coffee cake. And blueberries make it even better. It’s always good to have a super simple but amazingly delish recipe to share with friends and family. Preheat oven to 350’F. Liberally grease an 11 inch cast iron skillet and set aside. Combine streusel ingredients in a small bowl and set aside. In a large bowl, combine almond flour, tapioca, baking soda, and salt. In another medium bowl, whisk together eggs, maple syrup, and melted fat of choice. Pour wet into dry and mix until well incorporated. Pour half of batter into greased skillet, spreading it to cover bottom. Layer half of streusel mixture and half of the blueberries on top. Pour on the rest of batter and then layer remaining streusel and blueberries on top. Bake for 30 minutes, until golden and set in center. Enjoy!